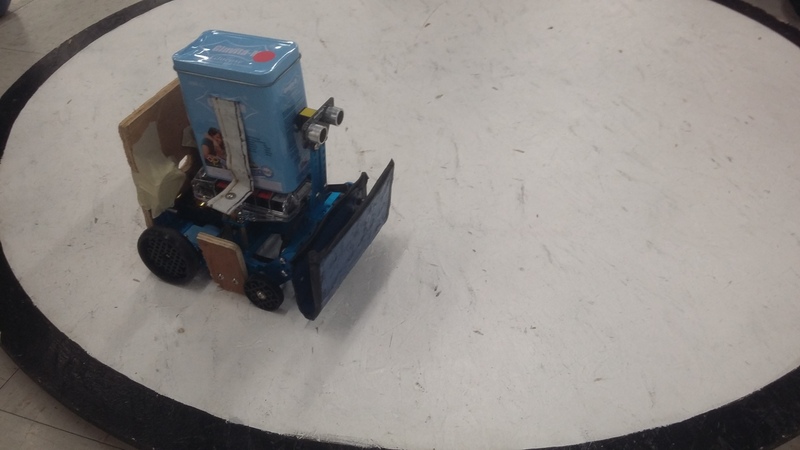 GOAL: To design, build, and program an autonomous robot that can push one or more opponent sumo robot(s) off an elevated wrestling ring. ROBOT: The weight of the robot can not exceed 1 kg for the ES category, 2 kg for the MS category or 3 kg for the HS/BK category. The robot base can not exceed 400 cm2, the height is unlimited. It is forbidden to use any parts or systems that can damage the opponent's robot or saturate the opponents IR sensors. TRACK: Ring is an approximately ~122 cm diameter white circular area with an ~5 cm black edge border.